Young entrepreneur Shanelle Guillemette is cycling around aiming to cool down the world – in a unique way. 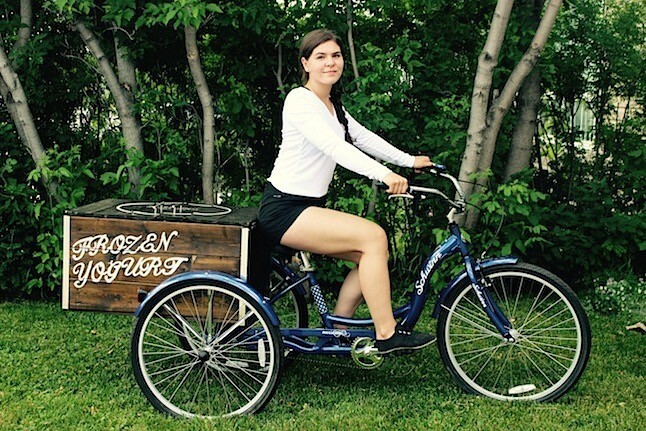 Born and bred in Timmins Ontario, last year Shanelle came up with the idea of riding a tricycle around the parks and streets in her hometown to sell frozen yogurt and a variety of toppings to her customers. 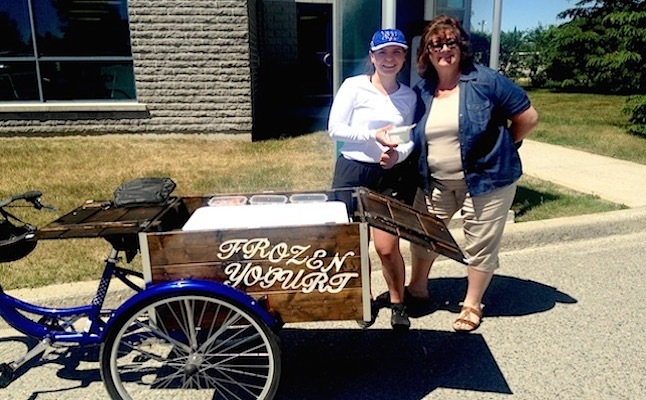 Her business idea, FroGurt Xpress rose while visiting North Bay at a volleyball tournament when she saw someone selling the product out of a trailer. She built a yogurt box on her tricycle to cycle around and sell frozen yogurts to raise money to pay for her post-secondary education, coming in the years ahead. What were the first steps you took to setup the business idea? After being inspired by the idea, I set up a meeting with the Timmins Economic Development Corporation in Timmins to see what programs might be available to assist me in starting up my business. With guidance and assistance from the Summer Company program, I conducted a lot of research and developed a business plan. After comparing the cost I decided to build my own box to transport my yogurt and installed it on a tricycle that I bought from a local store. The school I attend made arrangements to assist me as well and provided me with their kitchen. I am thankful to my school; ‘École Secondaire Catholique Thériault. From there, everything fell into place. How did you keep yourself motivated to get the business up and going? What kept me motivated to get my business up and going was the fact I am saving money for my post-secondary school. I aspire to be successful in life and I know success comes when I work hard enough and I am able to afford to go to a great school to work towards my future and own as minimal debts as possible. What’s the most motivational part of your business? The most motivational part of my business is watching people enjoying the frozen yogurts. The support from my mother and constant encouragement as well as the support from my community is amazing. Everybody I have spoken to has told me it’s a great idea and they are proud of me so this is what keeps me pedaling. Shanelle with one of her dedicated customers. I enjoy the interaction I get from my clients. I like seeing their smiles and love people who are choosing a healthier alternative approach to eating. I also enjoy seeing the profit I am making; my work is actually paying off! How many hours a week do you spend riding around selling the yogurt? What do the yogurts sell for? Depending on the weather and events my hours vary, it may be a couple of hours to several hours. I am starting out so I am also expecting the hours may rise as my clientele grows. My yogurts sell for $4.50 cents (CDN) which include one topping. There are choices of additional toppings at 25 cents. Although it is a small business I realise now it includes a lot of work whether it is for marketing, preparing or budgeting. 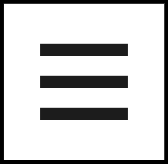 What is the feedback from your customers? I have been receiving positive feedback. I often am informed the yogurt is delicious, the portions are perfect. It is amazing the support I receive from my community. I am always open to any kind of feedback I love improving myself and making it an all-around amazing experience to remember. What other ways may young entrepreneurs receive support with starting up business ideas?